I’ve always had pretty rubbish skin. Ever since I was a teenager the natural oiliness has meant that acne has always been an issue for me. I thought that one day I’d grow out of it but unfortunately so far no such luck. So I’m pretty well placed to do a Mens Skincare Review and know if it actually works. So I’m on a mission to try out as many different skincare products as I can to see what difference they can make so look out for further posts in coming weeks. 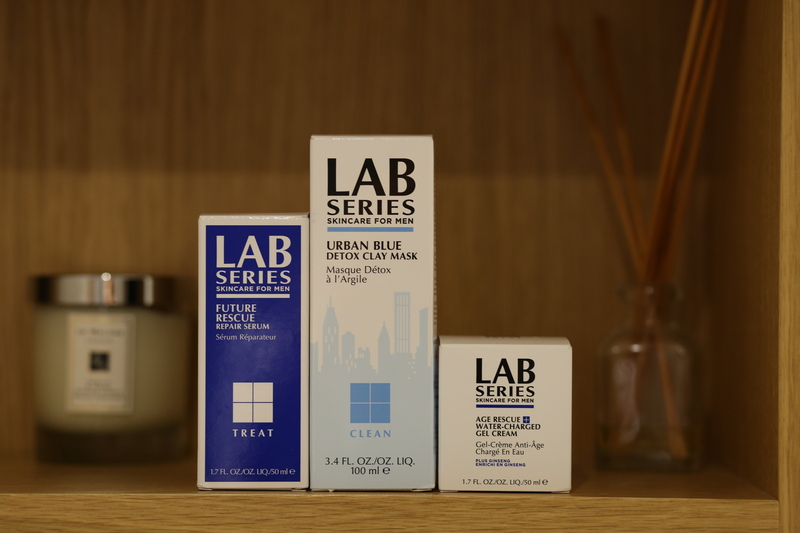 To kick things off I’ve been sent some LAB Series Skincare For Men. Description on the box: Purifying weekly treatment with a refreshing blue colour provides powerful skin detoxification by deep cleaning and unclogging pores while extracting excess sebum and reducing shine. Leaves skin looking clean clear and healthy. They’re not joking on the box, this mask is definitely blue. The colour is quite handy though, not only for scaring your partner with, but it makes it easy to apply because it’s really obvious if you have missed a spot. As the mask dries (you’re meant to leave it on for 5 – 10 minutes) you can feel it tightening on your face and skin starts to tingle a bit. I always see this as a positive thing because I feel like if you can feel it doing something then it is doing something. Ten minutes later washing the mask on and my skin definitely appears and feels less oily and looks clean, more-so than when using a regular wash. It feels less irritated as well than some other face masks leave it. The following morning the number of spots on my face had also visibly reduced. Description on the box: A high performance anti-ageing that helps repair the look of skin today or in the future. Rescues skins appearance from the affects of ageing. 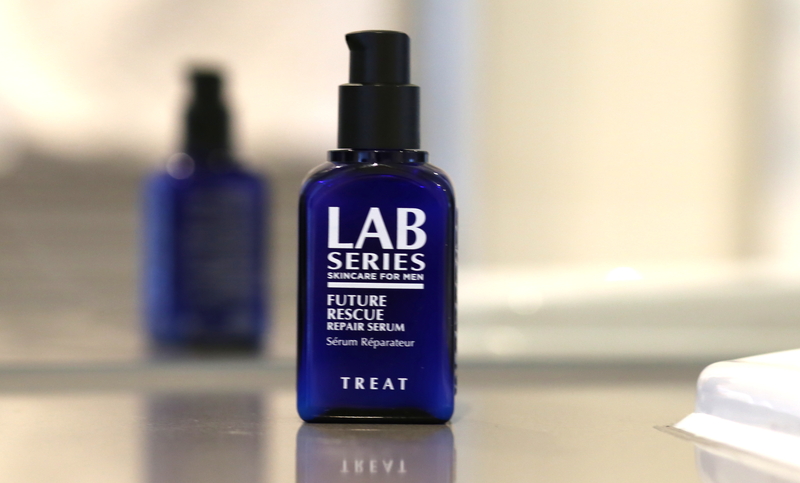 This serum is in a small bottle but a tiny little bit goes a long way and is instantly absorbed into the skin. After using it for a few days it’s a bit early to report back on whether it works as anti ageing so I’ll have to come back to that on a later date. What I will say though is that when used under the eyes first thing in the morning it does visibly reduce those early morning bags and puffiness. Does what it says on the tin? Definitely repairs the look of skin today under eyes. Too early to say on anti-ageing. Would I use it again? 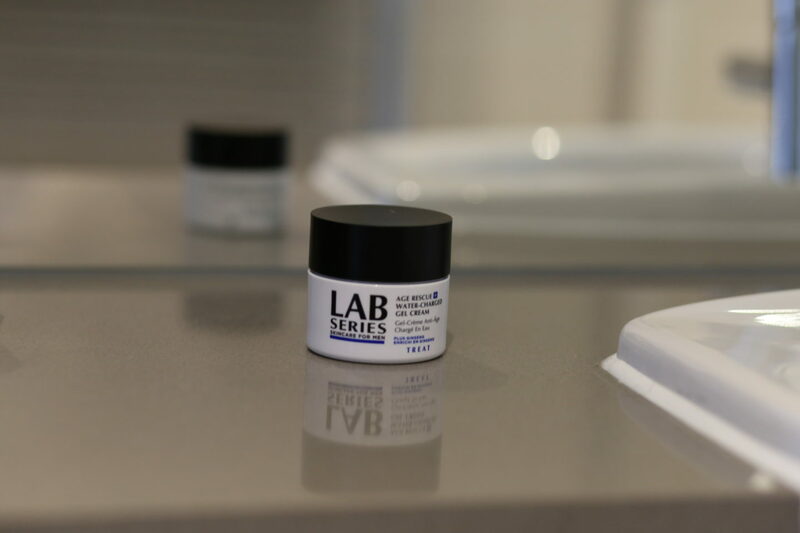 Yes for instant relief of puffy eyes and will keep using to see about anti-ageing. Description on the box: Ultra-hydrating anti-ageing treatment helps fight the look of wrinkles and fatigue for an energised look. Boosts natural collagen helping to visibly repair lines, wrinkles and increase firmness. Provides intense hydration instantly, over 24 hours and long term. For all skin types. Oil-free. This is a really good moisturiser. 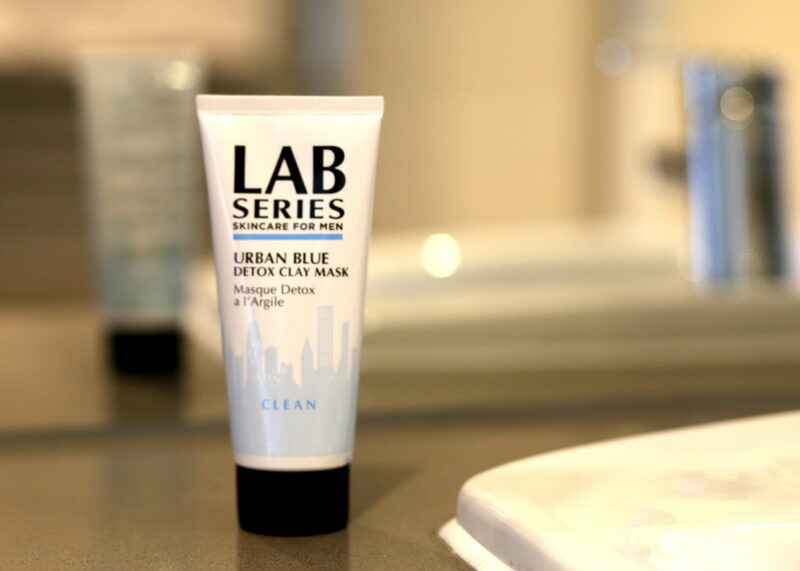 It instantly absorbs and you can almost feel the water seeping into your pores making them feel fresh. The oil-free promise rings too as well – often moisturisers can leave my skin feeling greasy but this doesn’t and gives a nice healthy glow. It smells nice too. So that’s it – if you have any good skincare recommendations please do let me know in the comments below or send me a tweet. Also why not check out my review of the Cornerstone Shaving System?